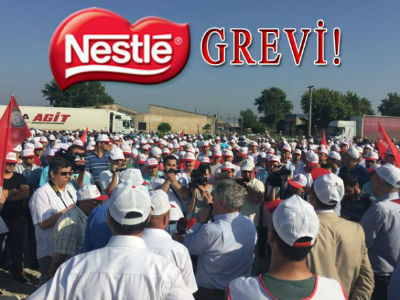 Striking members of IUF affiliated Tekgida-Is employed at the large multi product site at Karacabey in Bursa province Turkey, are demanding a substantial improvement in their low wages that better reflects their living costs and recognizes their contribution to company profits. 900 workers have been on strike since Tuesday June 21 and are also demanding that contract workers be transferred to permanent status. The union commenced collective bargaining in early 2016. The strike has been called due to lack of progress and Tekgida-Is has called on the company to re enter negotiations with a realistic offer which will be acceptable to members. The IUF expresses its solidarity support to the striking members of Tekgida-Is.